Maui is a kitesurfing mecca of the Pacific with year-round great weather, waves and wind conditions. 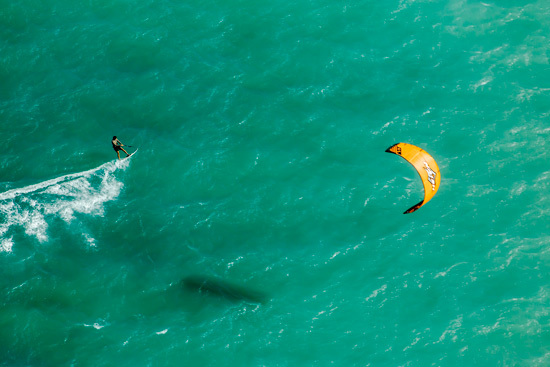 It has been consistently listed as one of the best kitesurfing spots in the world. Kitesurfers of all levels are welcomed in Maui — from first-timers to seasoned pros. You’ll find several schools and beaches on the island’s North and South sides which are perfect to learn, practice or to show off your mad skills! The winds are reliable year-round (15-25 knots), but the best time to visit the island is in spring and summer (between March and October) when the NE trade winds are strongest. The sandy beach north of the blue whale house is a good access point in kona winds. The sandy beach is one of the wider launch areas on the south shore. There is a small river mouth here. The beach is surrounded by sensitive dune areas and wetland habitat, so please only use the proper pathways to access the beach here. As always care must be taken when riding these areas close to roads and houses. these south shore beaches are short and separated by rocky points. so access between the beaches is often limited to the roadway. Only confident upwind riders should ride at this location. If you get down-winded on another beach you may have to walk back to your launch site along the side of the busy roadway, take care to carefully pack up your gear into a small tidy package before attempting to walk along the roads shoulder. There are no sidewalks along this stretch of road. Do not get hit by a passing car. Find out about current weather conditions at http://www.hawaiiweathertoday.com/windsurfing/.